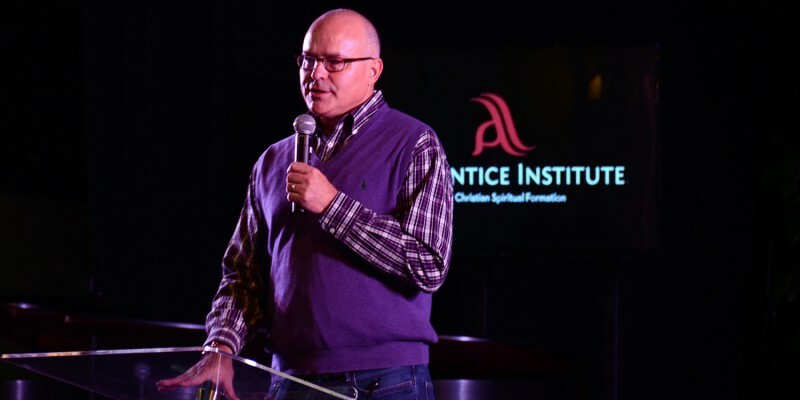 The Apprentice Institute was created in June 2010 with the intention of promoting higher-level thinking, deeper conversation and a creative track for growing closer to God. The church at large is placing a greater emphasis on spirituality, evangelism and spiritual formation, so Apprentice aims to equip and encourage people to live good and beautiful lives that will change the world around them. Our three main goals are to educate the current and next generation of leaders; resource individuals, churches, pastors and ministries in the work of Christian spiritual formation; and research and advance the field of Christian spiritual formation. Learn more about Apprentice objectives and offerings at ApprenticeInstitute.org. The Things Above podcast is a podcast for “mind discipleship.” It is for those who want to set their minds on “things above” (Col. 3:2). Each week James Bryan Smith will offer a glorious thought—something good and beautiful and true, something excellent and praiseworthy—to fill your mind with heavenly truths. Visit the The Things Above Podcast page on the Apprentice Institute website to listen. The Christian Spiritual Formation program is designed to deepen the spiritual lives of students on a personal level, as well as prepare you for a life of ministry, especially in the field of Christian Spiritual Formation. The degree track will prepare you for graduate programs and certifications, and also provide full-time ministerial employment opportunities in the local church, para-church, or international setting. Learn more about the Christian Spiritual Formation undergraduate degree and course of study. Learn more about the Christian Spiritual Formation and Leadership graduate degree and course of study. We want to help churches, pastors and Christian leaders to be more effective in the area of discipleship. The Apprentice Institute works to be a blessing and encouragement to the men and women working to disciple people in Christlikeness. The Apprentice Institute is able to go to churches and provide training, education and resources. The Apprentice Institute also hosts on-campus conferences, workshops, and retreats that focus on personal and community transformation. Dr. James Bryan Smith (M.Div., Yale University Divinity School; DMin Fuller Seminary) is the executive director of the Apprentice Institute and has been a professor in the Religion Department at Friends University for more than 20 years. He is also an ordained elder in the United Methodist Church and is the author of eight books, most notably The Apprentice Series (InterVarsity Press). Thanks to his long association with Renovare and other spiritual formation ministries, some of the best and most respected writers in the field have agreed to come to Friends and teach. The chance to learn from these men and women is an incredible opportunity.